Early detection is everything and it sounds like they did. Get well soon and get back to shutting down Ted Cruz, Senator. There is nothing more useless than thoughts and prayers. Still, mine are with my friend Michael. 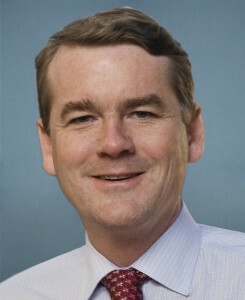 Here's wishing Sen. Bennet a successful surgery and a quick, complete recovery. Prostrate cancers run a wide variety. Some are so slow that doctors advise ignoring them on the theory that victims will almost certainly die of something else first. But there are fast and aggressive versions, like the one that killed a colleague of mine on the Metro faculty, Greg Pearson. Life is a lottery.